The spirit world is real! Your troubles ain’t nothin’! …Really! Catastrophes are unfortunately are part of human life. Why? Because of evil…and the devil’s influence in people’s minds. He is 100% responsible for all evil acts. People who do these things made a decision to do these evil things. Yes… even the natural disasters such as hurricanes, tornado’s, etc… are the devils evil works. Before Adam and Eve sinned…there wasn’t any natural disasters. When these things happen…many people struggle with the horror of an act like this….and today we are all dealing with… why this 24-year-old man would shoot so many people he didn’t know. I can tell you for sure that nobody on this earth has the answer to why was this or any other previous terrible events were allowed to happen. We only know the devil is at the bottom of it all. Only God knows all the details and we will know these answers when we make our transition to our eternal life. So how are we suppose to deal with this? First we must pray for all the victims and their families. We should also pray for souls to be saved and we should be actively sharing our faith with others. We should pray for people who were affected by this shooting and the fear and terror that something like this may brings on our children and others. 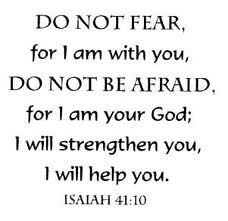 We who are Christians should not be terrorized by fear because we know that the Lord will be with us and help us out of difficult situations. 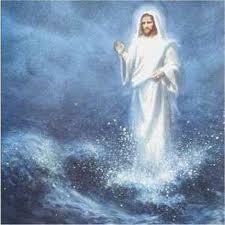 Even if the situation would take our life …we know we will be with our Lord. I’m concerned about what can happen to me in this world…but I know that God doesn’t want me to be fearful and living in a state of anxiety. We Christians have the Holy Spirit living inside of us and He has and will help us to get through the most difficult things this life may bring. I have something very important to say to you today…..put this statement in your spirit….”FEAR NOT”!!! Message for today: I’m sure that this shooting won’t be the last and that there are more natural disasters to come. I can tell you for sure that God will provide a way through things and He will provide a way out. These horrific things happen once in a while….while every minute of everyday there are millions of miracles from the Lord. Many healings, near misses and many rescues are happening as you read this. God is a good God. Let’s just trust that He knows what He doing. Spending time questioning things produces stress and doubt. To survive our world one must….pray, study the bible, walk with God and trust Him. I guarantee you that if you do these 4 things you’ll make it to the end….billions of others already have. Thank you, Tanya, for addressing this. If we didn’t know Jesus and weren’t certain of His protection, I suppose it would be easy to get in a funk over all the natural disasters and man-made tragedies in our world today. But we know the ending of the story, don’t we? Praise Him! you are sooo right. We should remember that scripture that says that God did not give us a spirit of fear, but one of Power, Love and of a Sound mind. The world fears but as Christians we should turn that fear into action…by praying for God’s grace and mercy to cover our hearts when we are troubled and also pleading the blood over ourselves and our family and loved ones. we have to learn to seek God when such things happen, because Only God is the Answer in such situations. Blessings. You made me think of another scripture: John 14:27 Peace I leave with you; my peace I give you. I do not give to you as the world gives. Do not let your hearts be troubled and do not be afraid. There is a lot about fear not in the bible. If we love God and we know He loves us we should not be fearful but trustful! Have a good day Sherline! Talk about being tested…. My 13 year old about 2pm today asked me, of all things” can I go to the movies and see the Batman Movie?”. And of course my mind went to fear for a moment, and not knowing if he had heard about what happened I said ” sure” only because why should I transfer my fear upon him when I know the devil is at hand to cause fear upon me and my children. I pray, as difficult as it may be for all those suffering from this massacre , that God binds the spirit of fear in Heaven that is upon all people, especially children, and fills us with the strength of the Holy Spirit in whom Jesus said is, ” Our Comforter”. What an encourager you are! As you said, these things will continue to happen, and we need to pray for all those affected, and even more than that, we need to keep our eyes on Jesus.God’s blessings on you. I truly believe the world will only get darker, because the devil is working over time. But like you said He has not given us the spirit of fear. This just means we have to press into Him more so we are 24/7 in His hedge of protection. Hugs.